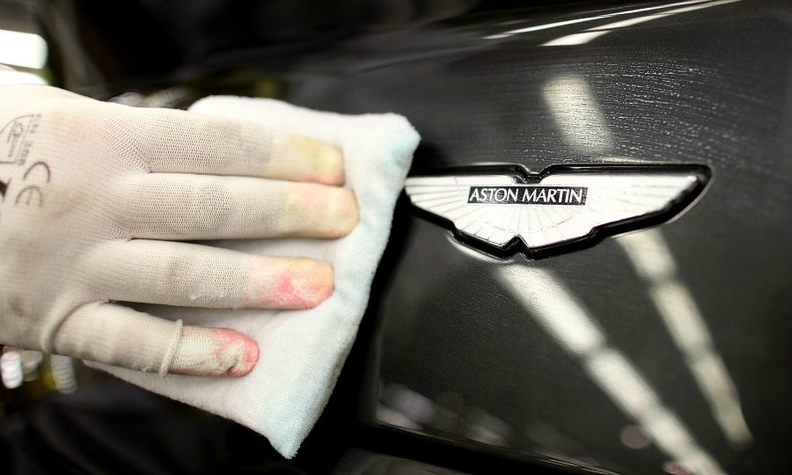 LONDON -- Aston Martin has hired a supply chain chief and approved Brexit plans to avoid delays by using ports other than Dover and flying in components as the automaker prepares for a possible no deal in March, CEO Andy Palmer told Reuters. Aston has hired John Griffiths, who has worked for Nissan and aerospace firm Rolls-Royce, as interim vice president for supply chain, in a role Palmer said "there was a nagging need (for) which has been confirmed with Brexit." Palmer also said the automaker, which was in October considering plans to fly components and move more in through other ports, had no choice but to authorize such contingencies at a board meeting in December. "I don't think we've been in a position in the last two years where we've been further apart from understanding where we're going to end up," Palmer told Reuters. "We program a car to align and order all the parts for those cars twelve weeks in advance. You don't need to do the maths to know that therefore takes us across the Brexit period." "We have to prepare for the worst-case scenario." Aston is signing deals with its first-tier supplier, DHL, to allow for the use of ports other than Dover and has triggered the authority for its supply chain team to make bookings for air freight. But the government has already said it will prioritize the movement of key supplies such as medicines in a scenario where the free-flow of goods is hit after Brexit, so it is unclear what would happen to other items. "We don't have any assurances," said Palmer. "One assumes if you're putting parts onto a standard chartered plane, no one's going to kick you off." The company, which built over 6,000 top-end models last year at its central English plant in Gaydon, its only factory, is also holding a stock of cars in Germany. "It's an inventory to some extent that we put in place during the course of 2018... and depending on what happens in the next few weeks, may or may not increase," Palmer said. The firm's Brexit plans have added an "accumulating cost," he added. Palmer also criticized politicians on both sides of the Channel who have failed to provide the stability needed for businesses to succeed. "Both the European and the UK politicians, are not discharging the duty for which they are put in place which is basically to plan and bring certainty to allow the country to thrive," he said. Britain, the world's fifth largest economy, is due to leave the globe's biggest trading bloc in just over 80 days but a Brexit agreement looks set to be voted down by lawmakers next week, making a no deal and potential trade barriers more likely. Britain's car industry, which employs over 850,000 people and has been lauded as a success story by politicians, has consistently warned that leaving the EU without an agreement would add costs and could halt output due to snarl-ups.